This DVD features four highly skilled coaches conferencing with the novice teachers with whom they have been working for the past eight months. Listen in as they demonstrate in authentic and unscripted sessions their use of reflected coaching, collaboration, and consulting. Also included are brief interviews with the coaches who describe how they make their decisions and with the protégés in which they explain the impact their coaches have on their success as novice teachers. 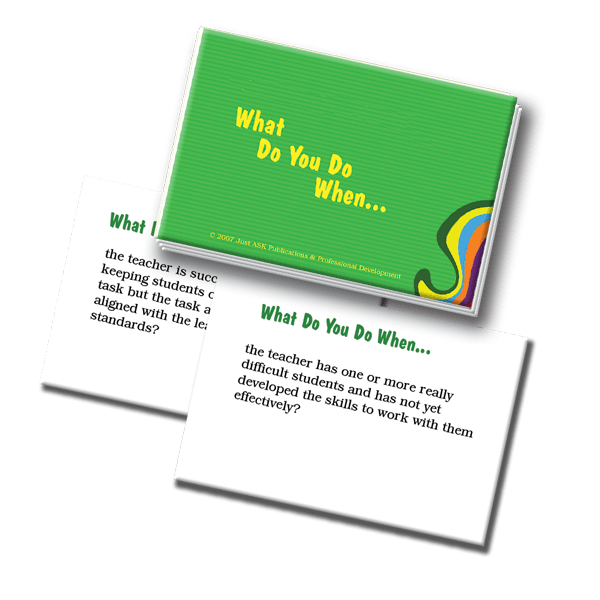 You can use these conversations and interviews in training for mentors and for supervisors and evaluators. All educators who are engaged in promoting professional growth through coaching will find much to learn from these clips. Each of the 5 conversations is approximately 5 to 8 minutes long. The clips are uninterrupted, authentic, and unscripted conversations between new teachers and their mentors who have been working together for 4 to 7 months. There is an introduction to each clip that provides context and lists points to note. Each clip can be shown with or without the introduction. Three of the clips feature the new teacher and the mentor’s individual reflections on their mentoring relationship and their thinking about the process. Filmed on location in St. Vrain Valley Public Schools in Longmont, Colorado.